We’ve all gone through the school system and most of us have suffered through 12 years of math curriculum not enjoying a single moment of it. With seemingly no answer to why we have not changed the way we have taught math, Slate Science is looking to change the trend and make math education exciting and rewarding. The platform for teachers and kids brings math to the practical world and focuses on gamifying the math process. The iPad app is a growing platform available around the world teaching the universal language of math. Today we sit down with COO Gil Almog to discuss their Matific product and how they can further the company mission with this most recent round of funding. 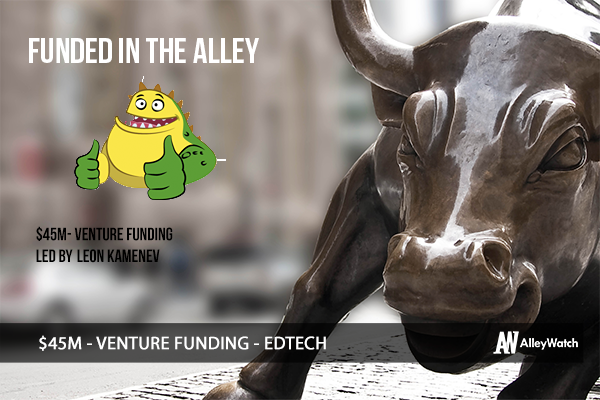 We raised round B ($45 mil) from a single investor – Leon Kamenev, who already invested in the company in our Series A round. We provide a math education platform Matific for teachers and kids. The platform includes over 1000 games and activities that are mapped to the curriculums of many countries around the world. The content is fully localized and can be used in over 20 different languages. In addition we have a product for home use Club Matific. Many kids’ attitude towards math becomes quite negative as they get through primary school. We wanted to show how math can be fun and challenging and the best way to do it was through games. We also wanted to teach math in the correct way and help kids develop mathematical and logical thinking and problem solving abilities. We don’t just focus on “skill and drill” – we work very hard to develop games that help kids develop mathematical thinking. We focus on “learning by doing” – solving real life situations that force you to develop mathematical reasoning. The games are very engaging and kids love them – they enjoy them much more than solving endless questions in a book. We are currently targeting the K-6 market which has about 30 million students in the US, and close to 1 billion students globally. Our school product sells for $10/per student/per year. Our home product on the web sells for $30/year or $15/month, and will sell later in the year as an app. Can you apply your approaches to other subjects other than mathematics? Yes. We developed our own graphic engine and have a very streamlined operation for creating content and localizing it. We intend to expand into other subjects such as science and coding. Surprisingly, it was quite straightforward. Leon knows the company well, and has a very strong belief in its abilities, so the process was quite smooth and relatively quick. In this round there were no major challenges. In previous rounds there were challenges around the business model and if it can succeed in the fragmented education market. We have a very strong team, very solid infrastructure, and good processes that allow us to quickly develop content and features. We developed a very clever Machine Learning approach which will soon allow us to make smarter recommendations for students on what they should be learning next based on the type of mistakes they make. The sophisticated algorithms that we use will become a major competitive advantage in the future and will help us remain a leading provider. We get great feedback from the market that we have the #1 math solution, and we managed to grow the number of students and teachers in the platform by a significant amount in the past year. We also won the Codie award for best math solution, beating companies like DreamBox and McGraw-Hill. We plan to launch new apps for home use, launch a gamification module for our school product (a cool card swapping game which allows kids to earn monster cards as they complete their math assignments), and expand our integrations with Google Classroom, Microsoft’s education solution and Clever. Focus is very important. It’s important also when you have funding so that you don’t run out of cash too quickly, but it’s much more important when you are strapped for resources. You need to choose very carefully which opportunities you chase and which ones you let go of. We would like to see our solution adopted by as many schools as possible, and we plan to increase our marketing and sales efforts with school districts all over the country. I love steaks, so my favorite is without a doubt Peter Luger.